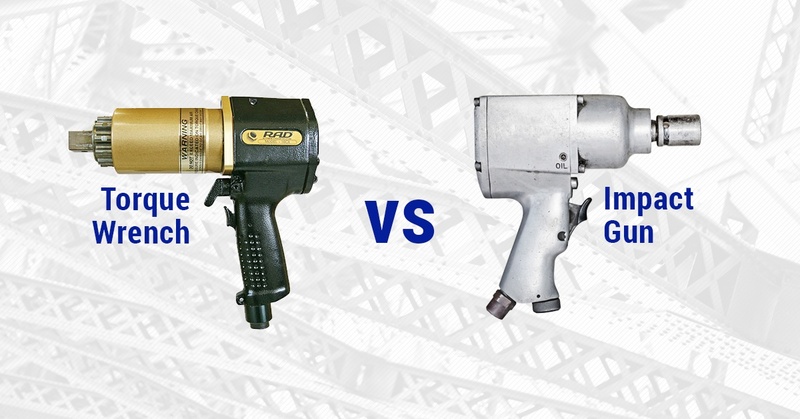 Pneumatic torque wrench vs. impact gun: Which is more effective? One thing was clear from the very beginning of our test -- the RAD tool, at half the weight of the impact gun, was much easier to maneuver. Our test showed that the RPM of the impact gun takes more than twice as long to put the correct torque and load on the bolts. We placed the bolt inside the Calibore load-testing device, using a one-inch drive impact gun with over 1,000 RPM, and a ¾ inch drive RAD 10GX pneumatic torque wrench with an RPM of just 20. The Calibore is a bolt tension calibrator for all bolts used with several tools, including pneumatic and hydraulic torque wrenches, impact wrenches, bolt tensioners and nut runners. Our RAD pneumatic torque wrench achieved the correct 36 kips in just eight seconds, while the impact gun took 17 seconds. In addition, the RAD gun can be set to shut off automatically upon reaching the desired load output, while the impact gun will keep running. Impact guns are hammering devices that keep turning until the operator releases the trigger. 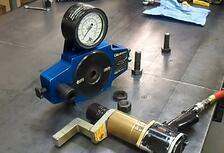 RAD torque guns feature a gearbox that utilizes a reaction arm. When the reaction arm engages the steel, there is no vibration back to the operator, and the tool smoothly applies torque to the required load. 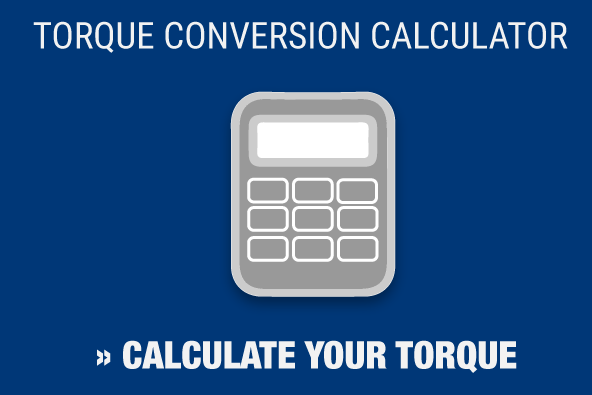 Finally, the torque repeatability of the RAD tool is calibrated to +/- two percent, while impact guns cannot even measure repeatability. If you’re in the bridge construction field and have thousands of bolts to tighten, Maxpro can help. We’d be happy to conduct a demonstration like the one we described above. And if you need your torque tools calibrated, our state-of-the-art, A2LA-accredited calibration lab can make sure your wrenches are up to the job. Contact us today to learn more.